Mr. Sanjay Lalit, CS – Corporate Law Advisory He has thorough experience in SEBI & Corporate Laws, IPOs & Capital Market issues, Private Equity, Alternative Investment Funds (AIF) Regulations & Venture Capital matters, Risk Management & Mitigation, Secretarial & Compliances, Real Estate, IPR’s, Business Re-structuring, FEMA & RBI Regulations, Merger & Amalgamation & Treasury Matters and has professional experience of more than 28 years. 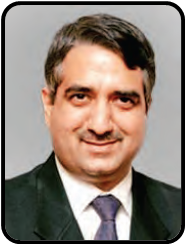 He has worked as Head of Legal, Compliance & Company Secretary with Caparo Group, two Venture Capital Funds namely (i) Peninsula Realty Fund (part of Piramal Group) & (ii) Milestone Real Estate Fund, Jaypee Karcham Hydro Corporation, (Hydro Power Project of Jaypee Group), New Holland Tractors (a MNC of Fiat Group), Samcor Glass (JV of Samtel Group, Corning Inc., USA and Samsung Corning, Korea) etc. During the period (2001-2007), he was active member on the Corporate Affairs Committee of the PHD Chamber of Commerce and Industry, New Delhi. He has written & presented articles/ papers on topics of professional interest. He is a practicing Company Secretary in Mumbai. He is a fellow member of the Institute of Company Secretaries of India, Associate member of the Institute of Cost Accountants of India and holds a degree in Law & Commerce with Hons. 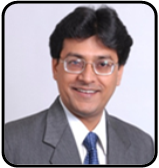 Mr. Vipul Thaker, CEO – SME Services – NuFuture Haribhakti Business Services Ltd He has been associated with Haribhakti group since the last 21 years. During his professional journey at Haribhakti group, he has worked for various industries to help build systems, processes and control for small, medium as well as large size clients.He has worked for various industries to help built systems, processes and control environment. His experience is spread across various industries in the field on Accounting, Internal Audit,; Systems Review, Study, Design & Development ,Project Monitoring, Due Diligence Review & Inspections. He is a Chartered Accountant, Six Sigma Black Belt and Certified Internal Auditor from the Institute on Internal Auditors, Florida, USA with experience in around all fundamental areas of Chartered Accountancy practice..
Koreel Lahiri, Parnter – Just As Meaningful. Koreel brings on board almost 15 years of media industry expertise, having donned various hats during his entire career – namely, business strategy, brand strategy, partnerships, content & editorial leadership and research. Koreel is a partner in a young fast-growing brand & business strategy outfit called Just As Meaningful. He brings his varied experience to advise consumer-oriented start-ups on both business and brand strategy. Earlier, at India’s largest media conglomerate Bennett, Coleman & Co. (The Times Group), he built a Rs 1,000-crore portfolio of strategic partnerships. Being an Advisor to the Board of Directors of portfolio companies, he advised senior management teams on their business, marketing & brand strategies.Prior to that, for over a decade, Koreel led content strategy & national newsrooms at India’s leading news broadcasters CNBC-TV18 & Bloomberg TV India. He started his career during the first dotcom boom, and was part of the start-up team at India’s first internet radio. An MBA from the Indian School of Business, Hyderabad, Koreel holds an advanced diploma in Advertising & Public Relations from Symbiosis Institute of Business Management, Pune.In his spare time, Koreel is partial to rock music, European football and fictional thrillers.